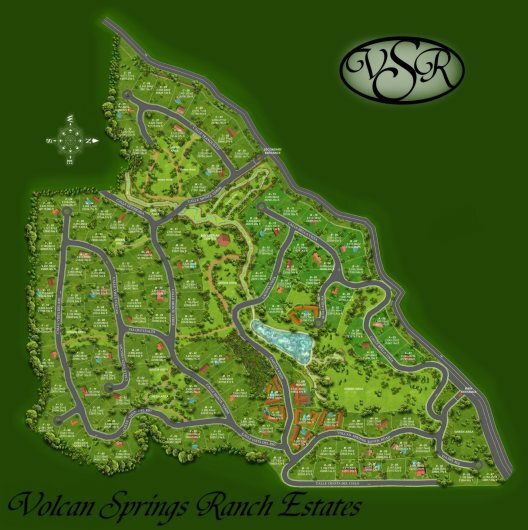 These are the first three designs we have for VOLCAN SPRINGS RANCH ESTATES. Because of Volcan's "eternal spring" climate, air conditioning and heating are not neccessary, although a fireplace can be a warming, cozy addition on rainy nights. 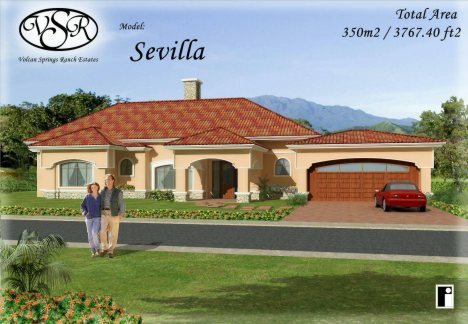 We are still waiting for the final, per square foot, price on these homes, so please check back frequently as we update the information. 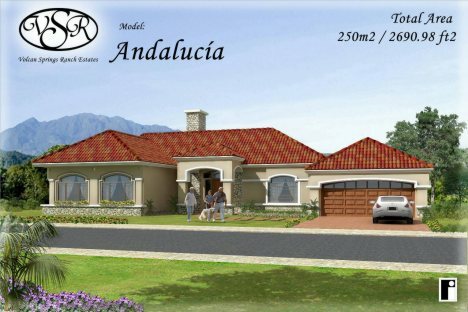 As someone who has spent a great deal of time at the Springs, I think these designs will fit perfectly into the hills, lakes and waterfalls that grace this special property. 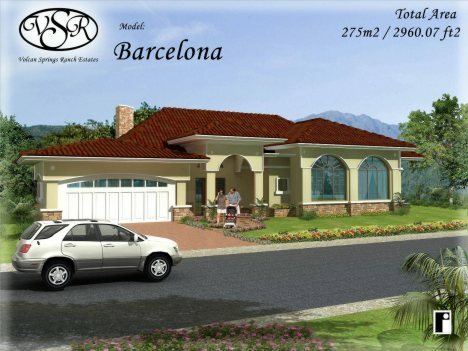 With the town of volcan less than ten minutes away for shopping and banking, this community will be possibly the the most perfect location in all of Panama.